The original version of this article, by the USAID Global Health Bureau, appeared on the USAID Impact blog. Bangladesh is on track to meet the 2015 deadline for UN Millennium Development Goal 5 (50 percent reduction in maternal deaths). 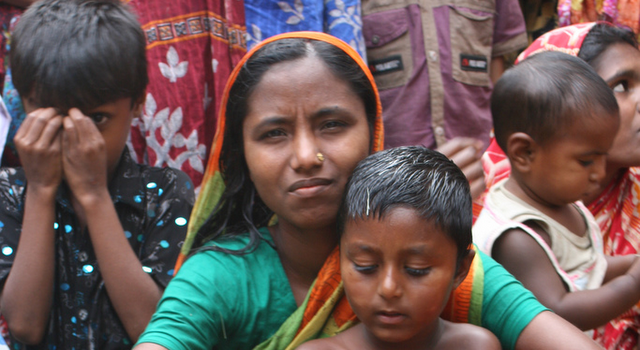 The Bangladesh Maternal Mortality and Health Service Survey, jointly funded by the Government of Bangladesh, USAID, Australian Aid (AusAID) and the United Nations Population Fund (UNFPA), found that maternal deaths in Bangladesh fell from 322 per 100,000 in 2001 to 194 in 2010, a 40 percent decline in 9 years. The decline in direct obstetric deaths is most likely the consequence of better care seeking practices and improved access to and use of higher-level referral care. The decline in total fertility rate due to the successful family planning program has reduced exposure to high risk pregnancies and has thus prevented a large number of maternal deaths. Continue reading on USAID’s Impact blog. Sources: Directorate General of Health Services – Bangladesh, UN. Photo Credit: Adapted from “Mother & Son,” courtesy of flickr user Anduze traveller.